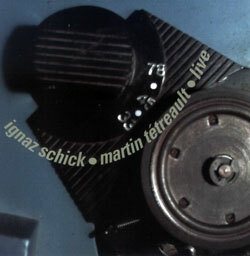 Montreal Musique Actuelle turntablist Martin Tetreault and sound artist Erick d' Orion created this project as a tribute to the original explorers of electronic music and musique concrete -- GRM, Stockhausen, Henry, Oram, Schaeffer, &c. -- using historic sound recordings and new sources, presenting this incredible concert live at Au Mois in Quebec. 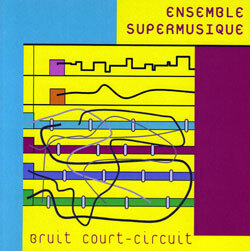 Michel F. Cote's gorgeous electroacoustic Mecha Fixes Clocks with Jean Derome, Diane Labrosse, Pierre-Yves Martel, Jean Rene and Max Steiner, with guests Martin Tetrault, Bernard Falaise, Lori Freedman, &c.
Montreal/Actuelle turntablist Martin Tetreault and Berlin turntablist Ignaz Shcick in two sets of recordings from two encounters in Belgium and Switzerland, 2006. 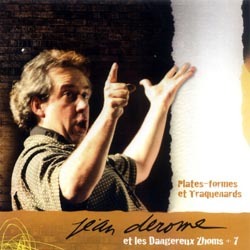 This amazing trio performed at the 25th Victoriaville Festival of Musique Actuelle in 2008 with 2 guitars, 3 turntables, one spy-microphone, and 201 spectators. 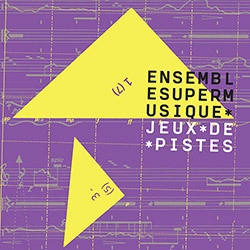 Four improvisers from Quebec and Norway playing prepared reeds, strings, and a broken turntable, an ea-improv release evoking the sonic and industrial world of sound. 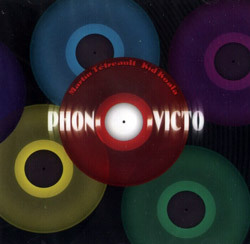 Two turntablists with very different backgrounds - actuelle improv and radical hip-hop - meet in energetic duos fill with humor and instrumental acrobatics. 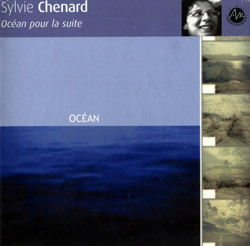 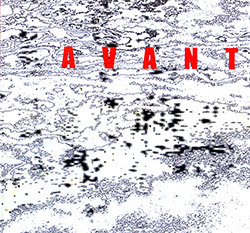 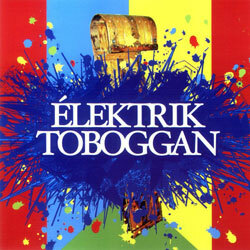 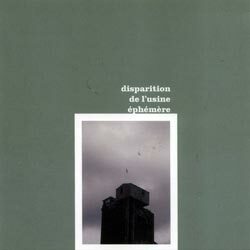 A collection of duo recordings featuring guitarist Sylvie Chenard playing with Maryse Poulin (sax), Martin Tetreault (turntables), and Alexandre St-Onge (electronics). 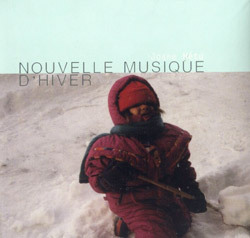 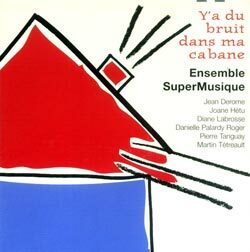 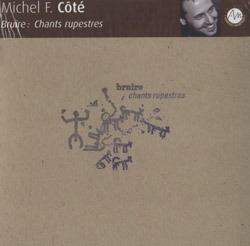 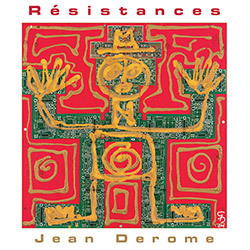 Jean Derome (sax, vocals), Normand Guilbeault (double bass), Michel F. Cote (drums, vocals) and Martin Tetreault (turntables) in a release that is ageless and archaic. 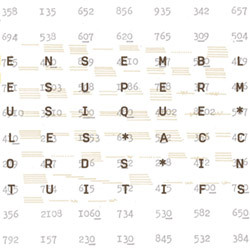 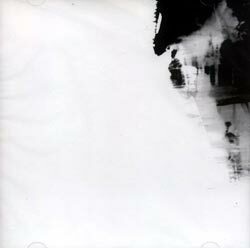 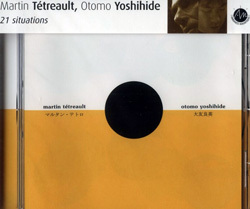 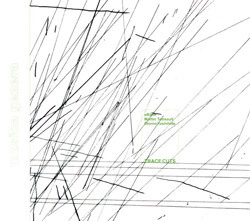 The meeting of Martin Tetreault and Otomo Yoshihide, two turntable master manipulators, in a studio recording from Montreal, in a collection of 21 improvisations that explore different themes. 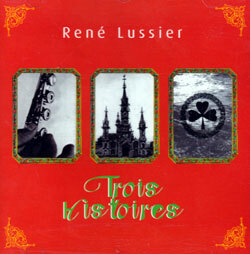 These compositions are the result of three stories by Rene Lussier that were commissioned for different projects in the form of short films.